Sit in a boat and enjoy the quiet, it’s the perfect way to while away an evening when the weather is finally chilly. Or you could also pack a picnic for two, and row away with your beau. These boat clubs in Pune is where you can go. If you’re into boating and rowing, you can stop by RCBC. Even without a membership, at INR 1000 per month you can be coached in rowing. Become a pro in 20 sessions and you can then impress your S.O. with your new skills. Plus, it’s always handy to know how to maneuver a boat, right? In Pimpri, you can have a family day or take part in old-school fun. Boat like you did as a kid. Paddle boats and rowboats are both around and it’ll help you relive memories from simpler times. 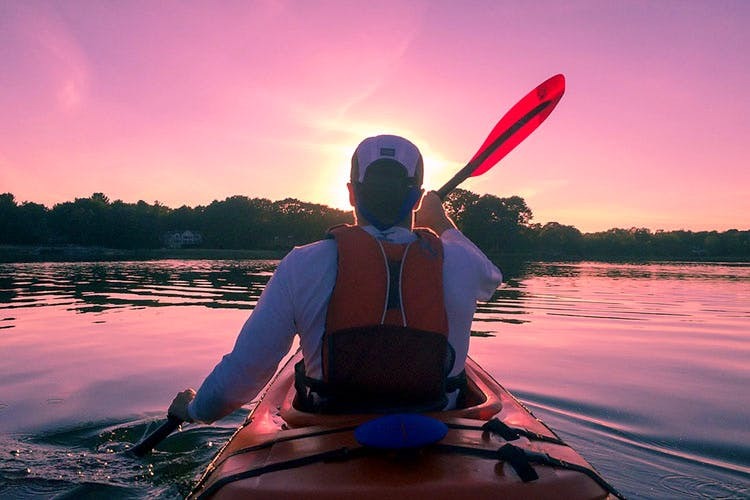 Perhaps you’re a pro or have a group of friends who’re great with the rows, then hop into a canoe or a kayak and row away. There are other attractions nearby too, the stone garden is worth a stroll. Get away from the city bustle and unwind with a drive and a boat ride. Choose how long you want to ride and pick your boat at the Panshet Boating Club. They offer motor boats, paddle boats, row boats, kayaks and speedboats and prices for each vary. You can explore Panshet lake and enjoy the serenity, probably take your mind off taxing schedules. On the way to Lavasa, stop at Bhugaon. On the shore of Manas Lake, at The Manas Resort you can rent a boat and go across the lake. A full tour will take you about an hour to tackle the whole lake. You can relax at the resort after, or eat at one of the many restaurants at the shore and make a day of it.